Breast cancer is one of the most common types of cancer, and public awareness of the disease has been on the rise. These days, breast cancer is something women can talk about publicly, and that’s in no small part due to the efforts of celebrities who help bring attention to the issue. One of them is Jane Fonda, who opened up about her diagnosis and admitted it was life-changing. In October 2010, the actress had a routine checkup and a lump was discovered in her breast, People reported at the time. The lump turned out to be cancerous and was promptly removed. In August 2011, Fonda announced she was cancer-free. She was 72 at the time of her diagnosis. I think it's wonderful. The fact that I made it and I'm all in one piece. You know, a couple years ago I got breast cancer, and that was a good test, because I always said, I'm not afraid of dying – and I wasn't. I mean, I felt, God, I've just joined a family of millions of women who have gone through this. And how interesting. What a journey this is going to be. And, you know, maybe I'll make it and maybe I won't. I didn't get scared. I hope I don't die. But I'm not scared of dying. As it was reported by People, Jane Fonda’s cancer was discovered during a routine checkup. This highlights the importance of getting screened regularly. The American Cancer Society recommends annual mammograms for women aged 45 to 54. Starting at age 55, women may have mammograms every 1 or 2 years – depending on the doctor’s personal recommendations. 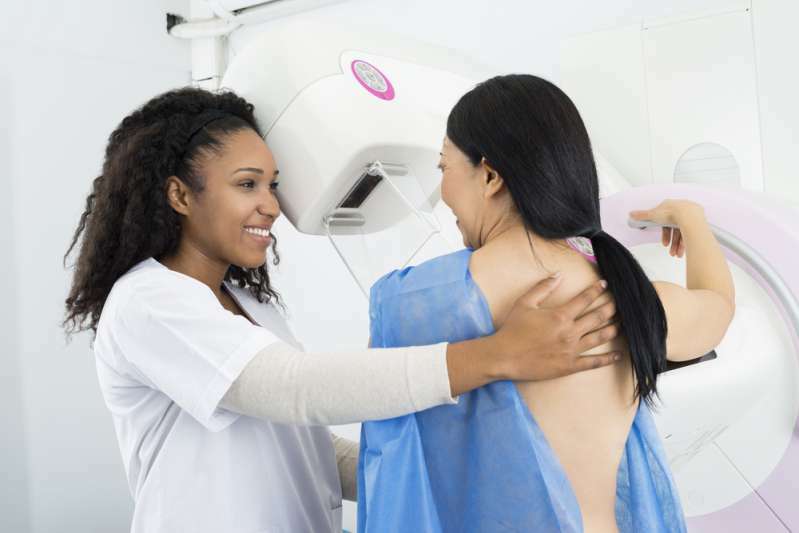 If a woman is at a higher risk of breast cancer, she may start getting mammograms and additional screening tests earlier. In addition to screening tests, women should be familiar with their breasts’ normal appearance and what they feel like. If you notice any unusual changes in the way your breasts look or feel, report these changes to your doctor. Here’s one thing to know about cancer: it doesn’t discriminate – anyone can get it. So far, one of the best weapons we have against it is early detection. Don’t forget to get checked, ladies!